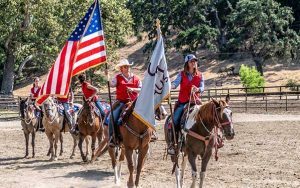 Beyond our traditional and specialty offerings, we also have several programs for the horseback rider that offer an experience above and beyond any other dude ranch in California. Come join us on Mondays to have fun in the arena and learn the fundamentals of one of the most popular rodeo events! 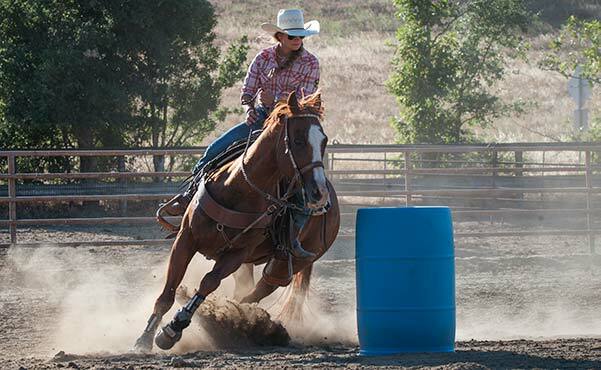 Barrel Racing requires balance, timing, and refined control of a horse. 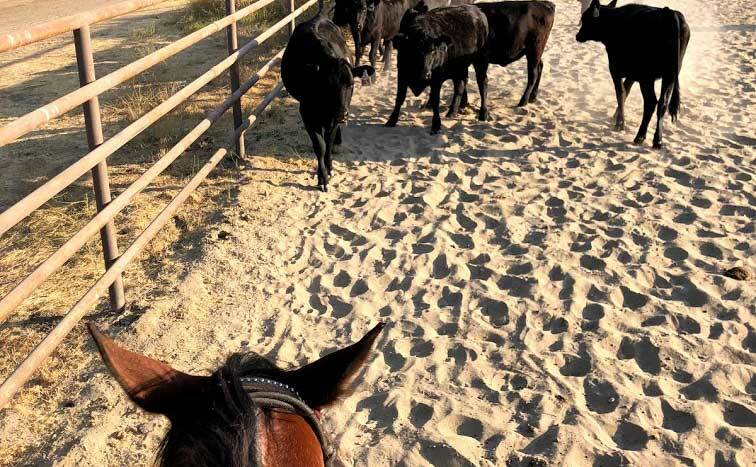 This class will teach you the basics including: a brief history of Barrel Racing, how to independently control a horse in the arena, and work towards completing a full pattern at a trot. Although Barrel Racing is historically a woman’s event, today it is dominated by both men and women. Join us this year on our Round-up Experience, now available to many levels of riders. If your dream is to get the experience of pushing cattle as we rotate pastures the Monday or Friday cattle drive is just for you. 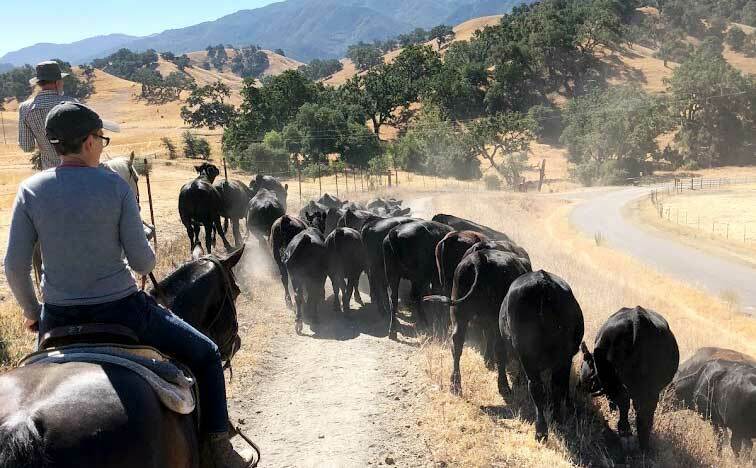 The cattle drive is open to all levels of riders and will get you to work as a team along with a wrangler to complete the task of moving cattle. If you are an advanced rider, however, you have the opportunity to participate in an additional round up on Wednesdays. On the Wednesday morning round-up you will be not only moving cattle from one pasture to another, but also down to our sorting pens and helping to sort out the cattle needed for the Wednesday rodeo sorting. Come Tuesday to practice a choreographed riding pattern for the opening ceremonies of our Wednesday night rodeo. You will get a chance to try something new with the horses and become a stronger rider while doing so. You’ll also have fun with other riders and form your own team for the week. Riders must join the Tuesday class to learn the pattern of the week to be eligible for participation in the Wednesday night rodeo. This exciting class (usually Wednesdays) will teach you the basics of sorting cattle, a necessary skill on a cattle ranch. Teams of three will be challenged to sort three cows out of the herd and to move them across the arena. After participating in this class you’ll get the opportunity to use your skills during the Wednesday night Rodeo and compete against fellow guests and wranglers. Weekly winners get a prize and the best time of the summer receives a belt buckle at the end of the season! Guest Services is happy to help schedule your horseback riding adventures! We highly recommend scheduling as far in advance as possible. If you are staying with us during the summer, you’ll be lucky enough to experience the famous Alisal Rodeo! Such a wonderful and magical place! Thanks for the great memories!